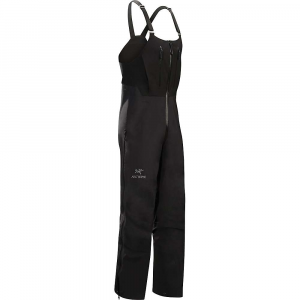 Visit Sierra Designs's Men's	Slayer Pant page. 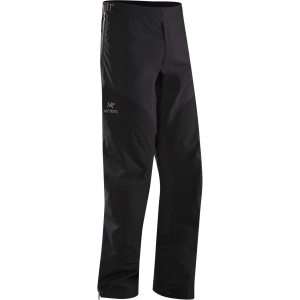 When hiking or backpacking in environments known for high rainfall, the Sierra Designs Men's Slayer Pant is a must. The fully taped seams and 2.5 layer Tropozone shell fabric shed wet weather to keep you dry while the full-length side zips provide ventilation and make getting the pants on and off a cinch. 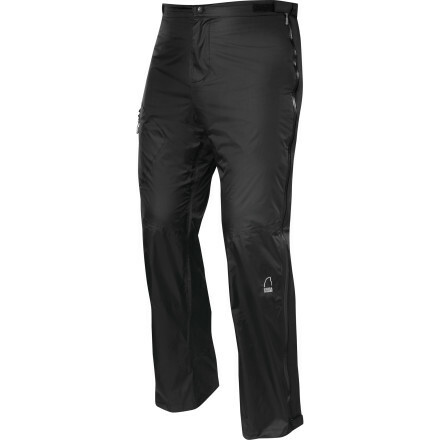 Feature-rich, waterproof pants for hiking in extremely wet weather. If the forecast calls for a torrential downpour, grab your Sierra Designs Men's Slayer Pants and know everything's going to be smooth sailing. 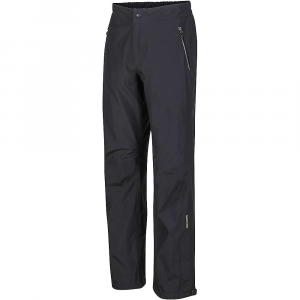 Designed for hiking in extremely wet weather, these pants are constructed from Tropozone 2.5L fabric and come completely equipped with fully-taped PVC-free seams to keep you dry all day long. Plus, a full two-way side zip makes these rain warriors easy to remove, in case things warm up just a tad. 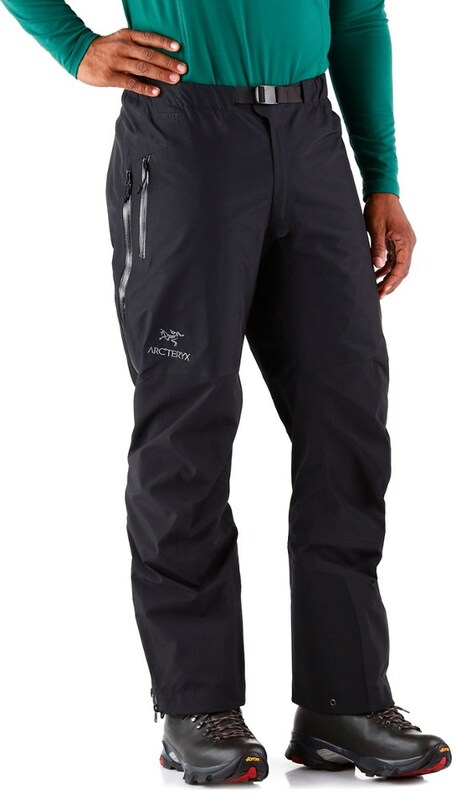 The Sierra Designs Slayer Pant is not available from the stores we monitor. It was last seen July 18, 2014	at Rocky Mountain Trail.